Wizard brings you a Journey to the hidden depths of the Mesoamerican lands, where riches are told to be beyond even the wildest of dreams. This lost civilisation with vibrant gemstones and magnitudes of gold are yours for the taking if you are willing to delve through the jungle to find the mystical waterfalls and what is beyond. 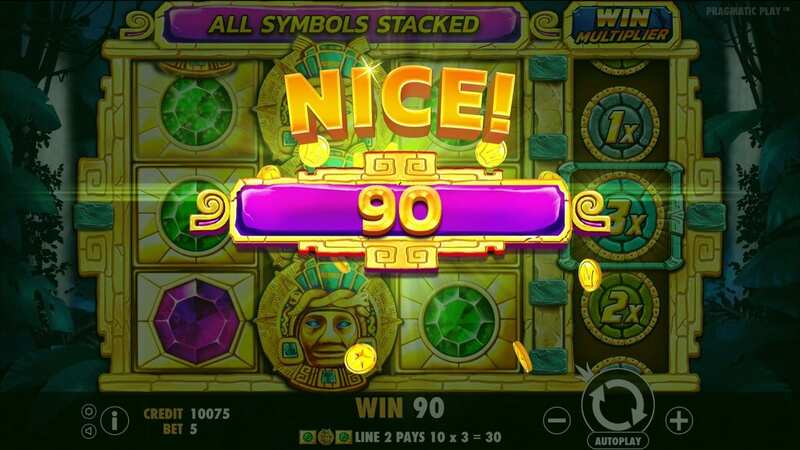 Spin the reels of this online slots and listen to the invigorating music as you lose yourself in the depths of the jungle surrounded by exotic wildlife and unknown treasures of the Aztec people. This mysterious but encapsulating game by Pragmatic Play will allow you to step into this lost culture and search for the hidden treasures of this amazing world. Pushing themselves into the forefront of the online casino gaming industry Pragmatic Play have made a huge statement as the fastest growing provider of both desktop and mobile games. Pragmatic play doesn’t hold back when it comes to stunning visuals, innovative gameplay and big wins that keep their players coming back for more. These high flyers are sure to be a rising star and one to watch with a strong focus on research and game development they will keep getting bigger and bigger. Enjoy from a selection of online slot games to play by Pragmatic Play. The mighty Aztec Empire was once one of magnificent wealth and thrilling mythology with tribes that fiercely battled for their land. Not scared to prove themselves to the gods they often performed blood sacrifices so the gods would take on various demonic forms to strike down their rivals. The Aztecs were rumoured to have hidden golds and treasures beyond anything ever before discover and thus was the downfall of their civilisation. Learn why it is one of the best new online slots regular players look forward to playing. Are you ready to discover what is to be found in their hidden city? Read on to find out the secrets of their lost civilisation and precious treasures of this amazing world. 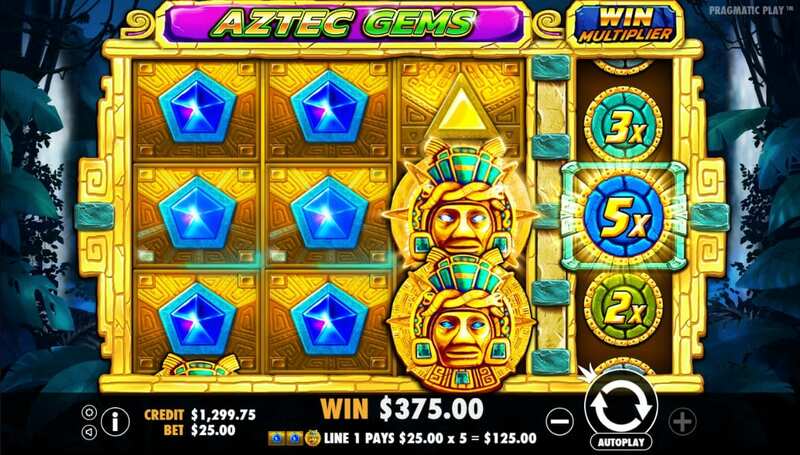 Simplistic but visually stunning this 3 by 3, 5 line, vibrant video slot game will take you deep into the hidden aztec jungle where untold riches are to be found. Spin the golden reels to reveal the hidden Aztec gems in a range of exquisite colours ranging in value across the first three reels. The 4th reel is the Win Multiplier reel and it contains win multiplier symbols only and will apply to all wins on that spin. It is able to replace all other symbols on the reel.